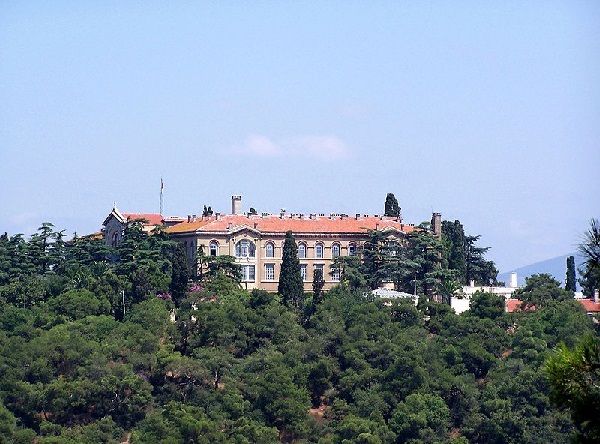 Turkey’s Deputy Foreign Minister Metin Kulunk has refused to resume the Greek Orthodox Halki Seminary until Greece reopens the Fethiye Mosque in Athens. “Have no doubt, Turkey has not taken a step to re-open Halki Seminary and it will not take a step until Greece, who did not hold up the promise it gave in Lausanne, opens the Fethiye Mosque in Athens,” Kulunk said in a Western Thrace Turks Solidarity Association meeting in Germany. Turkey has been demanding the re-opening of the Fethiye Mosque in Athens, the only European capital city without an official mosque, in return for moves to reopen a Greek Orthodox school in Istanbul’s Heybeliada Island, which was closed in 1971. Calling Greece “a church state,” he questioned why a mosque was not being given permission to exist in Athens while many mosques, churches and synagogues stand side by side in Istanbul. In October, Turkey’s EU minister Egemen Bagis said that Turkey would be encouraged to reopen the Halki Seminary in Heybeliada if Greece took steps to open a mosque in Athens. Greece is home to many Muslim communities, both native and migrant, but refuses to grant permission for the construction of new mosques. The 150,000 strong Turkish Muslim community of the Western Thrace province near the Turkish border have complained that they are being refused to build new mosques as well as rebuild old mosques from the Ottoman era. They are also refused the right to elect their own religious representation to the Greek government.